The following is an essay for our symposium on Arizona v. United States by Larry Joseph. Mr. Joseph formed his firm in 2003 to provide greater control over his practice and time. Before forming his firm, he practiced environmental law with several large firms in DC and California. His litigation practice focuses on administrative and constitutional challenges to actions by federal, state, and local agencies. 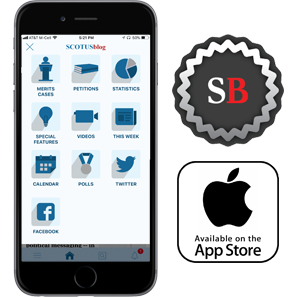 If the Supreme Court takes up Arizona's challenge to the preliminary injunction against enforcement of key sections of S.B. 1070, the least that Arizona can expect is that the five-Justice majority from Chamber of Commerce v. Whiting would find again that Arizona's going the "extra mile in ensuring that its law closely tracks IRCA's provisions" satisfies the Supremacy Clause and federal immigration law. But this case offers the opportunity for an even broader majority of the Court to vacate the preliminary injunction against Arizona's new law on less overtly political, but more important, grounds. Conflict preemption includes both conflicts that make it impossible for private parties to comply with both state and federal law and conflicts that prevent or frustrate the accomplishment of a federal objective. The challenge to S.B. 1070 centers primarily on its alleged conflict with perceived congressional objectives and intent, not with any specific federal provision of law. As such, this case presents the opportunity for the Court to rein in the prevent-or-frustrate branch of conflict preemption. Prevent-or-frustrate preemption typically rests solely on claims that the federal law is "carefully constructed," "delicately crafted," and the like, which typically lie in the eye of the beholder. Moreover, not every form of balance or craft evinces the intent to displace a wholly distinct sovereign from adopting its own balance or craft. Justice Breyer "“ a Whiting dissenter "“ questioned this weakest link of the Court's preemption jurisprudence in his concurrence in Wyeth v. Levine. There, he suggested that this prevent-or-frustrate preemption can "wander far from the statutory text" and improperly "invalidate state laws based on perceived conflicts with broad federal policy objectives, legislative history, or generalized notions of congressional purposes that are not embodied within the text of federal law. 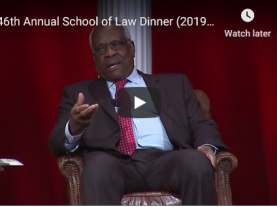 " If Justice Breyer joined the Whiting majority in finding too slim a federal reed to preempt Arizona law here, at least one or two of the other Whiting dissenters might join him, making a strong statement about federalism rather than a divided statement about immigration. While there may be statutory instances where congressional inaction actually intended state inaction, without rising to full field preemption, the prevent-or-frustrate branch of conflict preemption too easily verges on federal law's preempting whatever two appellate judges think that federal law should preempt. Whatever one's views on the specific subject here, the dual-sovereign model of federalism should not allow unelected federal judges to overturn state laws based only on the judges' subjective perception of what Congress may have meant. Congress remains free to clarify its intent if states intrude onto federal territory. The United States brought this facial challenge before Arizona authorities, including the Arizona courts, have applied S.B. 1070. Of course, under United States v. Salerno, such facial challenges are the hardest type of challenge to win because the plaintiff must show preemption in every respect. In addition to the usual Salerno difficulties in facial challenges, federal courts are at a distinct disadvantage "“ perhaps tantamount to a lack of jurisdiction "“ when addressing novel, untested, and potentially ambiguous provisions of state law. Although courts typically may interpret statutes to avoid constitutional infirmities, federal courts cannot do so when reviewing state law. Under the circumstances, it is not clear that a federal court has the power to prevent a subsequent state tribunal from adopting a narrow or different construction that cures any perceived federal preemption. An authoritative state interpretation could bind federal courts and thereby undermine any prior federal court rulings or injunctions by courts without the power to narrow the challenged statute. This may counsel for presenting questions of state law to state courts as part of any such federal proceedings, or it may provide another reason to deny relief for facial challenges under Salerno or on ripeness grounds. But it also arguably goes to redressability under Article III. If the plaintiffs claim injury from future state enforcement or the fear of that enforcement, the fact that the federal decree is subject to modification as the result of a post-decree state court ruling seriously undermines the federal decree's utility. Under the circumstances, the parties and the two court systems might be better off if the litigation proceeded in state courts, which not only have concurrent jurisdiction over violations of the federal Constitution and civil-rights laws, but also have the authority to interpret the state law authoritatively. The Ninth Circuit also emphasized that S.B. 1070 had created something of a stir internationally, thereby intruding into an exclusively federal domain. Given the five-Justice majority opposed to considering foreign law, the suggestion that the Constitution authorizes the federal courts to bridle the States to avoid foreign pique is fanciful. While the federal government is preeminent in foreign policy, federal immigration law does not endeavor to set foreign policy, which renders inapposite the foreign-policy preemption cases such as Crosby v. National Foreign Trade Council. While Congress potentially could enact a statute that tied immigration policy and foreign policy together in such a way as to strengthen the argument for federal preemption, Congress has not done so, so the issue is immaterial.